Leah is a kindergarten teacher from the Golan. She was beaten for nearly all of her 21-year marriage. But when she filed for divorce, her husband refused to give her a get – Jewish divorce document. It took almost a decade before she received this document and could move on. One woman’s husband ran away to another country rather than give her a get. Another preferred to sit in jail. And still another said he would only provide a legal divorce when she was old enough not to have children with another man. According to Pnina Omer, director of Ohr Torah Stone’s Yad La’isha, there are many reasons why a man would refuse to give his wife a divorce: he is afraid he won’t see his children enough, he wants to control her or he does not want to pay alimony or child support. Yet, regardless of the story, when a man becomes a get-refuser, a woman becomes an aguna or “chained woman,” unable to remarry or move on with her life. In Israel alone, she said, there are around 2,000 of these women. Her organization works with around 150 at any given time. 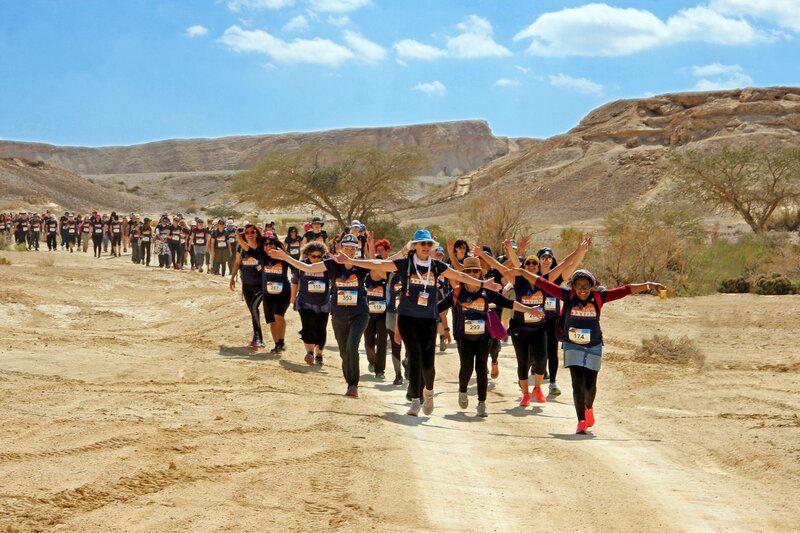 Earlier this month, on International Women’s Day, Yad La’isha ran its annual “Women Moving Mountains” hike, which brought together more than 300 women to show their support for and to advocate on behalf of agunot. Take Orly Vital, 40. She was married for 20 years. For the past decade, she has been through a long and exhausting divorce process that has “been draining my blood and causing tears,” she said. The last time she saw her husband, Ronen, was four years ago when, in the middle of a discussion about their case upon understanding that he was obligated to give her a divorce, he left the gates of the court. To this day, he has not been found. Vital said that when their divorce process started, he claimed he wanted to make it better, and the couple went for mediation. Then they argued about finances, and Vital relinquished their joint apartment to him. When he was backed into a corner, he ran away, severing ties with everyone – from his yeshiva and work, to his children and extended family. The couple has four kids ages 15, 17, 18 and 19. “It is just hard to believe that this can happen,” Vital said. Ohr Torah Stone’s Yad La’isha: The Monica Dennis Goldberg Legal Aid Center, is the largest support center in the world for agunot. 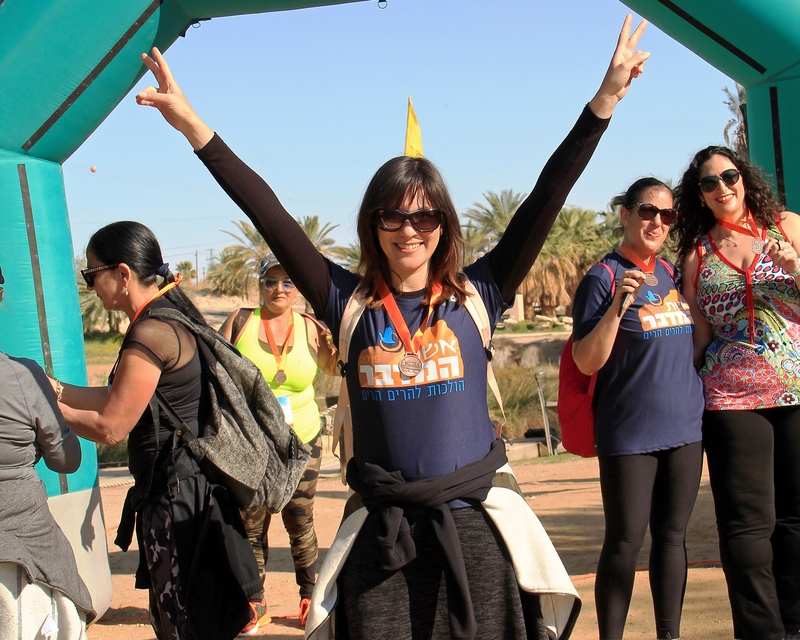 Tehilla Cohen, an advocate with the organization, said the all-female staff leaves no stone unturned in representing clients in rabbinical and civil courts. Additionally, staff social workers provide essential social services for the women and their children. Yad La’isha simultaneously strives to raise awareness for agunot in the public and political spheres. Cohen said that they have freed more than 1,000 women in the 20 years since the organization was founded. In one situation, a husband had run away to America. Yad L’isha learned he was there working as a kashrut supervisor. It contacted the man’s boss and told him the situation. He was forced to provide a get or be fired. Recently, the organization helped convince the Jerusalem Rabbinical Court to issue a decision instructing the Egged Bus Company to fire an employee within 30 days because of his refusal to grant his wife a divorce. Cohen has worked with chained women between the ages of 21 and 70 all over the country. She said it can happen to anyone – and while Yad La’isha will always be there, the best solution is prevention. Ronit Dror is a social worker who founded Letzidchem, an organization that fights for the rights of suffering men who have been unable to get divorced and move on with their lives, similar to chained women. He said that according to statistics of the Chief Rabbinate, there are more men whose wives have refused to accept a get in custody battles than men who refuse to give one, and that due to lack of publicity, the fight for these men has been difficult. “When you get married, you should sign a premarital agreement,” Cohen said, which includes language about the get. She said it does not always completely solve the problem, but it makes it easier to push the men to do it.